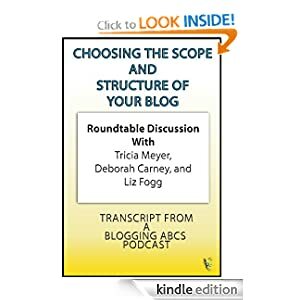 Choosing the Scope and Structure of Your Blog (Deborah Carney, Tricia Meyer, Liz Fogg) Take the advice of our expert bloggers on how your blog should be built and whether you should be a general blog or focus on a niche. Find out who owns your content if you are blogging on popular free blog services, and why you can be hurting your SEO as well. 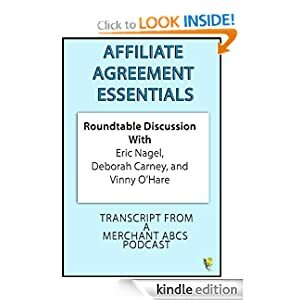 Best Practices for Creating Your Affiliate Agreement (Deborah Carney, Vinny O’Hare, Eric Nagel) If you are starting an affiliate program, or running one without an affiliate agreement in addition to the network you may be on’s terms, this is a book for you. 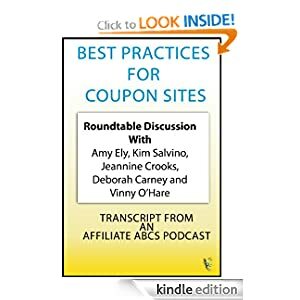 Giving merchants a look at the affiliate terms and conditions from all sides, merchant, affiliate manager and affiliate.